Fabricio Vayra, senior counsel, intellectual property at Time Warner, tells WTR about the challenges he faced in creating a central IP department to support the conglomerate’s various subsidiaries. WTR looks back at 10 years of CFI trademark rulings and asks what challenges lie ahead for the newly named General Court. 2010: Madrid to expand into Latin America? After years of fierce debate and political procrastination, several important jurisdictions in Latin America seem poised to accede to the Madrid Protocol in 2010. WTR investigates the efforts to push through accession, and how brand owners and local agents are adapting their practices in preparation. WTR asked a range of trademark professionals, industry representatives and legal specialists to highlight the issues that they felt were most significant in 2009 and what they anticipate as the major developments in 2010, either in their specific jurisdiction or on the international agenda. If the ECJ accepts the advocate general’s recent Google opinion, its decision will have far-reaching effects on the advertising industry by aligning the European view more closely with that of the US courts. This would have a number of consequences for brand owners. With many US motor industry brands being acquired by Asian companies, challenges remain for both the new owners and the US industry left behind. With the global economic slowdown hampering the development of international markets, over the past year the Chinese courts have issued new legal interpretations in a bid to safeguard domestic growth. However, this has led to courts that are more cautious to award damages, often siding with local interests. The marketing-trademark relationship is critical to branding success, yet there is a longstanding perception that the two departments are doomed. Despite announcing that it will again pursue an independent application for WTO membership, fundamental issues of trademark enforcement and IP protection in Russia still have not been addressed. While it may seem logical for Community trademark owners to expect pan-European remedies where infringement is established in one member state, the reality is somewhat different. A recent dispute over express shipping could lead to some much needed clarity on this issue. Company and commercial names have a direct impact on trademark registration in Russia. At present, the non-registration of commercial names does not prevent them from opposing registered trademarks – meaning that potentially no mark is safe. The dispute over the Danone-Wahaha joint venture offers some valuable lessons for companies considering partnerships in Asia. Many of the problems that can arise are preventable through careful planning and an understanding of local business culture. The adoption of mandatory rights protection measures in the new domain name space will be recommended to the board of the Internet Corporation of Assigned Names and Numbers (ICANN). Thirteen law firm mergers were recorded in the United States during the third quarter of 2009 and WTR has been told that the pace of consolidation is expected to increase in 2010. The World Intellectual Property Organization (WIPO) and the Office for Harmonization in the Internal Market (OHIM) have signed a memorandum of understanding under which the organizations will share and develop their goods and services classification databases. Leaked documents containing sections of the draft Anticounterfeiting Trade Agreement (ACTA) suggest that the treaty may focus more on copyright than on trademarks and the fight against counterfeiting. Direct or contributory cybersquatting by domain name registrars has yet to receive much attention. However, if this problem is not addressed, brand owners could find the goodwill associated with their marks hijacked by the very organizations they rely on to oversee the domain space. New legislation and international agreements are set to fight the threat from counterfeiters – yet still more can be done to harmonize IP laws and enforcement practices. Brand owners need to choose the course of action taken over comparative advertising in the United States carefully. There is a long tradition of protection for well-known marks in Israel, but trademark owners need to ensure that they are fully exploiting the advantages of the system. While legislation does recognize marks which have gained fame, the concept is not defined or explained in the law or governing rules. China has gradually enhanced the protection of well-known marks, but brand owners need to ensure that they file for recognition when entering into legal action. A recent marketing campaign highlights some of the intricacies inherent in Mexico’s trademark legislation. Well-known trademarks in Norway are protected under the Trademarks Act and, to some degree, the Marketing Act, which requires traders to follow good business practice in their transactions with each other. The framework of protection for well-known and famous trademarks stems from existing Benelux legislation. Recent decisions suggest that this system, as transposed into EU legislation and elaborated by further case law, gives famous and well-known trademarks even greater protection than before. While the courts are applying statutory provisions that afford protection to well-known marks, the lack of guidance on the evidence required to prove that a mark is well known means that brand owners need to rely on judicial precedents in their actions. While courts take account of the fame of a mark when assessing the likelihood of confusion, all the surrounding circumstances are considered – including evidence of consumer confusion and the connection between the goods and services of the interested parties. The protection of well-known and famous marks has long been disputed under Russian law, with the process for registering a mark as well known challenging for brand owners. While Italian legislation does not define what constitutes a well-known mark, their treatment as marks that ‘enjoy a reputation’ means that they enjoy wide protection. In Denmark, it is recognized that well-known or famous marks require protection which is broader than merely direct competition. However, to enjoy extended protection, documentation must be submitted which confirms that the relevant consumers have a general and broad knowledge of the mark. 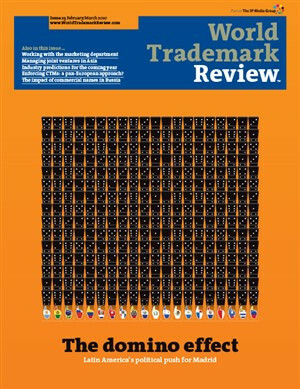 The scope of traditional trademark protection is expanding with the recognition of well-known marks and marks with a reputation. Despite there being no legal definitions of these concepts, Portuguese doctrine and jurisprudence are working towards solutions which will enable owners of such marks to defend their rights. Famous and well-known marks are afforded extensive protection in Spain, but while ‘well-known’ and ‘reputation’ denote distinct legal concepts, English-speaking practitioners who are familiar with the Community trademark system need to be careful they are not misled by the Spanish terms for such marks. A recent decision has affirmed the principle that famous marks which receive recognition as highly reputed marks following the BPTO procedure deserve protection in all fields of activity, regardless of the possibility of confusion.